IABCLA’s Dine & Discuss in February. Attendance was capped at 10 people; we keep the number small in order to facilitate a discussion in which everybody can participate. There were folks who were newer to the communications industry, as well as those who had been in the field for some time, and all with diverse career experiences – Julie said this mix led to a “thought-provoking” conversation. The group talked about issues from fake news and distrust in media to technology trends like content marketing, visual storytelling, and data-driven communications. There was general agreement around the notion that a compelling concept and story are at the heart of all successful campaigns and initiatives. Regardless of technology trends and changes in media consumption, well-crafted stories and well-researched messages that speak to target audiences are what drives successful communication. 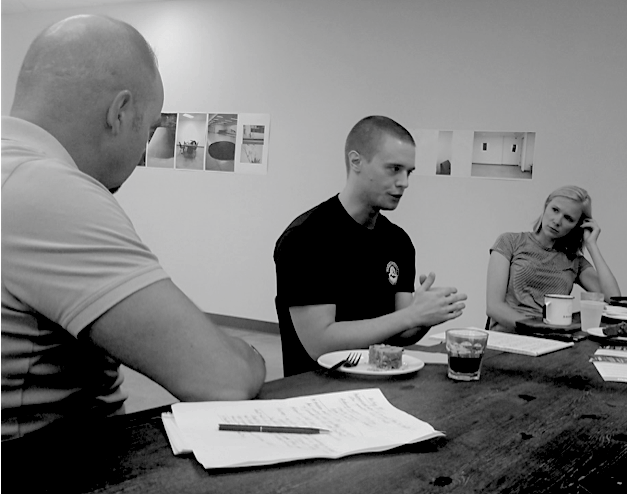 One of the best moments of the evening came when a guest brought up this intriguing idea: what if we communicate less? For instance, what if you could only send five business emails a day? Who would you send them to and what would you say? Also, he mentioned Banksy, the street artist, as someone whose work speaks in a sparse, yet powerful way. Julie was intrigued by the concept of being discrete and sparing in her digital communication. The next day at her company, she talked to colleagues more in person rather than through messaging. When Julie did email, she held onto her feedback longer than usual – she found that often issues had already been resolved by the time she weighed in. New ways of thinking are just one of the many positives to come from Dine & Discuss, and that’s why it’s one of our most successful programs. Look for this and other upcoming events on our website, as well as social media – our group is on Facebook, Twitter, LinkedIn, and now Instagram. We also send out regular emails to our members and supporters notifying them of activity. If you’d like to be added to our mailing list, please reach out to Grant Skakun: grant.skakun@eucrest.com. Join IABC in October and Save! 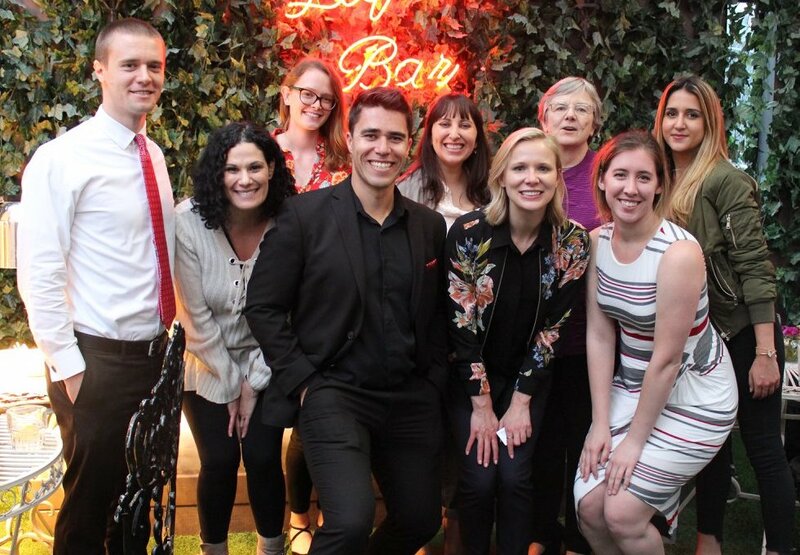 The IABCLA board at a chapter mixer in May 2018. October is IABC membership month! Join now and you’ll receive 10 percent off. Some of the many benefits include networking, professional development, and educational opportunities. 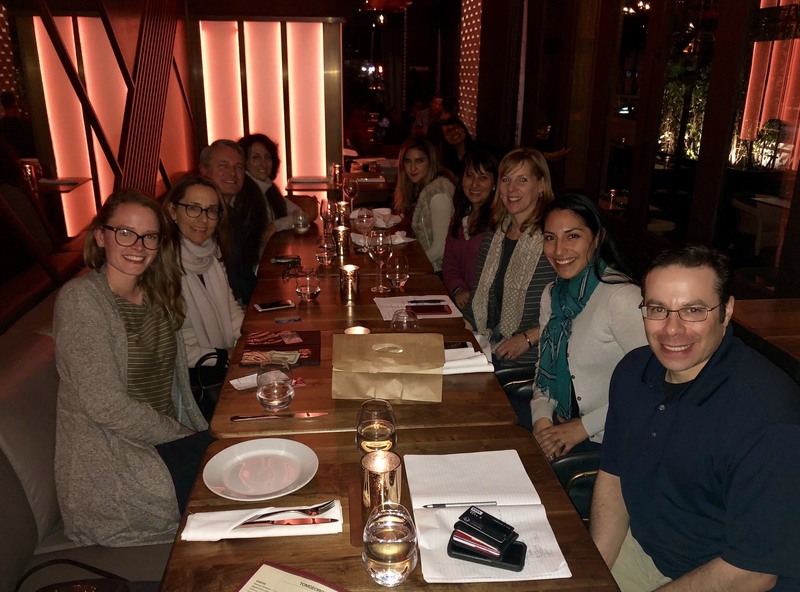 Eli Natinsky, the chapter’s vice president of operations, reflected on his time with IABCLA in a recent blog post. It’s a personal account on the advantages of belonging. To learn more, go to the membership section of the IABCLA site. You can also email: la-membership@iabc.com. We hope you’ll take part! Grant Skakun led a conversation about writing at September’s Coffee Connection. IABCLA met for its Coffee Connection meeting on September 8 at Ambrose Cafe in Pasadena. Grant Skakun, IABCLA director of newsletters and instructor at Eucrest Writing, led a conversation about clear and effective writing with fellow board members, IABCLA members, and communications professionals. Topics discussed included analyzing the audience before writing, achieving the purpose for writing, following a writing process, structuring key messages, using professional word choice, following style guides, and improving writing performance. Coffee Connections are fun and engaging opportunities to network with colleagues, discuss topics related to our field, and enjoy coffee and pastries. Check the IABCLA calendar for our next meeting. The discussion focused mostly on internal communications, reviewing ethical issues inherent in leadership, as well as corporate culture, change management and organizational strategy. The group’s discussion continually circled around the idea that internal communicators, especially, play a variety of roles all at once. While they help executives and organizational leaders drive change, they also are like the nerve networks of the human body, bringing signals in from all the extremities to inform the central brain. Cheryl Farrell (Internal Communications Manager at RAND Corporation), who facilitated the conversation, posed a “lightning round” where individuals posed solutions to a short case study. Six participants contributed six unique solutions. 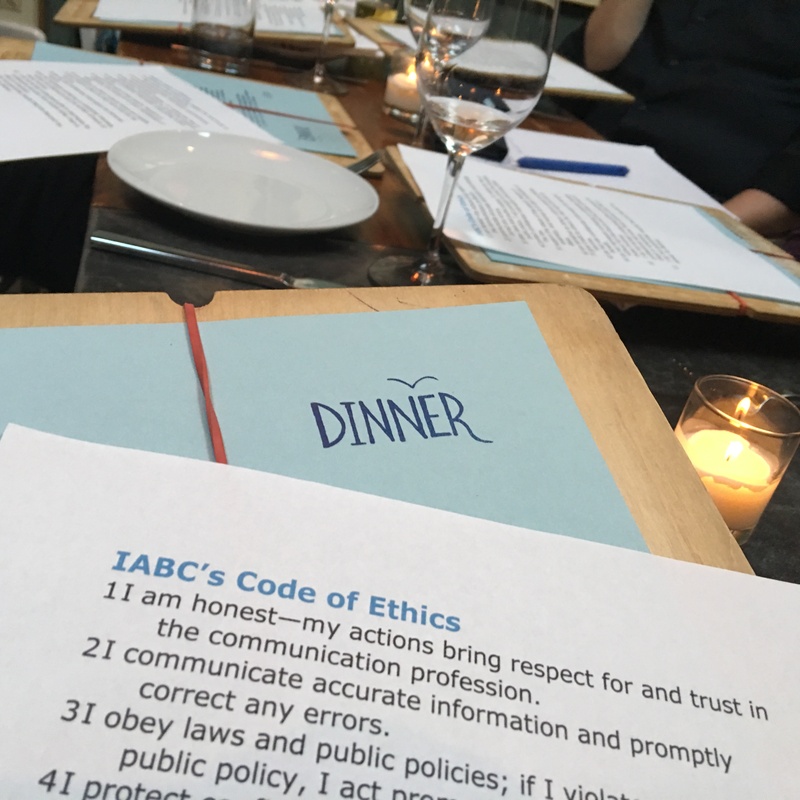 IABCLA members and those interested in IABC can look out for our next Nine & Dine event, which will focus on the topic of diversity and take place in downtown Los Angeles. 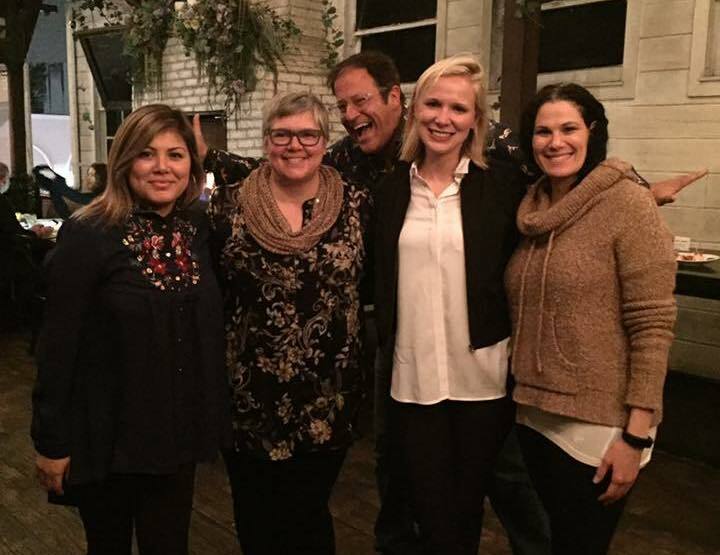 It’s been a year of change for IABC Los Angeles. Following our “lite-mode” plan we set out last summer, we have shifted from in-person events to online webinars to make better use of our resources. We’ve been happy to see many of you joining our webinars, and look forward to seeing the rest of you on our upcoming sessions (listed below). It’s also the time of year where we elect the new Board of Directors for the chapter’s 2015-16 fiscal year. I’ve listed our current proposed slate of board members below, along with open positions. If you’re interested in a great professional development opportunity with a great team, please consider running for a seat on the board. Simply send an email to our President-Elect Nick Duggan at communications-vp@iabcla.com letting us know which position(s) you’re interested in, and he will explain the nomination process. It’s been an honor to serve as your chapter President for the past year, and I look forward to remaining involved on the board and in the chapter in the year to come. Thank you for your continued support of IABC Los Angeles! The chapter board intends to nominate the following slate of individuals to serve as the 2015-16 Board of Directors. Any open positions listed are available for any members to apply – simply send us an email. Anyone nominated to join the board must be a member of IABC. If you are not a member yet, please consider joining. Applications or nominations must be received by Friday, May 15. Voting instructions will be sent to all IABC-LA members by Wednesday, May 20. Votes will be due by Friday, May 29. We are excited to announce our IABC-LA Learning Lounge webinars for the next few months. Mark the dates on your calendar to join us from wherever are to connect with colleagues and learn something new! the Difference and Why Does It Matter? On Tuesday, April 14, 2015 IABC Los Angeles presented a new “Hack Your Life” webinar as part of IABC-LA’s Learning Lounge Webinar Series during lunchtime. The webinar was presented by Demir Gjokaj, Founder of Lifehack Bootcamp, a system in eliminating, automating and outsourcing the clutter in your life. IABC-LA board member Nick Duggan moderated the well-attended webinar while Demir presented five life hacks to reclaim time in your life…not so you can do more(!) yet so you can truly be present, less stressed and focus on one task at a time. Built on the premise we live in a perpetual multi-tasking, time-starved world, Demir states emphatically “there is no such thing as multi-tasking”...we’re switch-tasking (poorly) from one unfocused task to another. (I’ve been saying this for the last few years!) Lifehacking is about applying single-minded focus to a task by knowing exactly what outcome you’re working for. How many of us can admit it’s seemingly “more productive” or “more efficient” to answer email threads first to get them “taken care of” before we would suffer the pain of shutting off our phones, email and other gadgets to work on a priority project? Shut off our cell phones? Is Demir crazy?! Not so much. Demi Gjokaj’s journey and his qualified exuberance for the life hack topic began with an admission he was, in fact, originally terrible at time organization and de-cluttering his life. While excelling as the youngest frequent commentator on Bloomberg and co-founder of start-up MONTAJ, which pioneered social media and video storytelling, Gjokaj became frazzled from the constant demands of managing time, technology and daily work and home life. Demir became dedicated to the notion it really doesn’t have to be this way. We make constant choices throughout the day to mismanage our work and home life resulting in too much stress, ignoring what’s really important and many times because expectations of others’ are involved…we allow our lives to become “stolen”. We learned there are very painful consequences to not having life hack systems in place including being supremely scattered with and without tech, big dreams not moving anywhere closer, getting seriously behind, losing out on opportunities, and even financial problems. We also learned some techniques towards reclaiming your life so you can be engaged, alive, present…and joyful! Demir provides a tremendous amount of thought-provoking and time-saving tips and techniques that helps turn all IABC-LA-ers into happier, more productive, less stressed execs, team players, managers, and consultants! And with the active participation by IABC-LA-ers in the webinar, clearly this topic was well-received and will be put to great use throughout the chapter!